It’s still a wonder to see how many people go for hotels with all the various accommodation types available. While hotels do have their perks, there are tons of other options that could give you a much better experience. Villas, for instance, are becoming increasingly popular with travellers for a variety of reasons. And you could actually end up saving on your travel if you know how to book correctly. 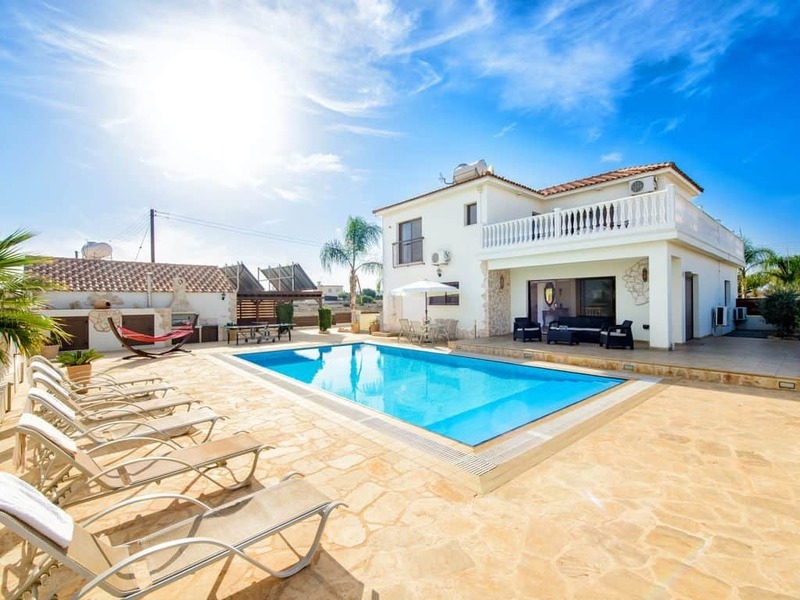 In this article, we’re going to give you a few reasons why you should go for a villa instead of a hotel for your next Cyprus holiday. People often assume that villas will be out of their budget since they’re usually associated with luxury. But depending on the size of your party, you could actually end up paying much less than with an hotel. And you’ll be much more comfortable too. You’ll get to enjoy communal space, have more room for yourself and others, and enjoy more privacy as well. Organization is also much easier and coordinating a group is much simpler when you’re all living in the same house. No matter how great a hotel room is, it never truly feels like “home”. A villa, on the other hand, gives you much more control and flexibility. You get to cook your own meals or hire a cook for the week. You really get to relax and kick back and enjoy the space. While most people won’t want to spend most of their time in their hotel rooms, villas can actually be part of the whole experience. You don’t actually have to book a million-dollar Cyprus holiday villa for it to be enjoyable. You will want to find a provider that has a variation of choices, so you can find something that interests you. It might be difficult, but a provider that has been around since 1986 like The Villa Group offer tons of different villas for all types and budgets. You are bound to find something in their portfolio of 400 options. Whether you’re looking for something ultra-chic, or something more rustic and cosy, you can find it. No matter the style, location or decor, you’ll find the perfect villa for your tastes and needs. Sure, your hotel may have a pool, but you’ll have to share it with tons of other guests as well – some more pleasant than others. The same goes with the sauna room or the gym. Many villas come with the same amenities, but you won’t have to share them with anyone. You’ll also get things you’d never have in a regular hotel like spacious gardens for instance, which is always nice. If you’re travelling with children, then you can’t beat a villa. Hotel rooms are often cramped up and it’s hard to enjoy privacy, unless you spend considerably more on a larger room. With a villa, you get to enjoy time with your family and privacy whenever you want. And you don’t have to all sleep in the same room either. Whichever way you look at it, going with a villa rental beats hotel living in so many different ways. If you were still on the fence on which option to choose, we hope were able to sway your opinion. Whatever you do, always make sure that you work with a reputable agency and pick a villa that suits your needs for your next holiday.